The term "appraisal" means different things to different people! If you need an idea what Thollot buyers are willing to pay for your precious metal or diamonds, we do that! There is no charge for this service; just drop by between 10am and 5pm any day except Thursday. You can also call ahead to make sure our buyer is in the office when you arrive. If you need an actual written appraisal for insurance purposes, Thollot Diamonds & Fine Jewelry is uniquely qualified to appraise your fine jewelry and gemstones. Our experienced staff has the background and gemological training to do a professional job of evaluating the current value of your precious keepsakes. Accurate appraisals are important because if your jewelry is ever lost, stolen or damaged, your insurance company will refer to the appraisal document to settle the claim. An outdated appraisal will likely result in you being under-insured, and that could cost you thousands. An appraisal with a mapping or "plotting" of the inclusions inside your diamond will also allow you to identify your diamond if it is ever stolen. 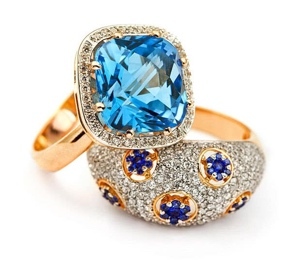 The average price of appraising one piece of jewelry is $95, subsequent pieces are priced at $75 each. Of course, more ornate or complex pieces may require a bit more time. We can let you know an exact price when we see your jewelry. You can set up an appointment to sit with the appraiser while your jewelry is being appraised. In this case, we simply ask for a $95 deposit before the appointment date. If you would rather leave it for our appraiser to work on, no deposit is required. Your jewelry should be dropped off two days before your appointment and will be available for pick-up before closing on the day of your appointment.